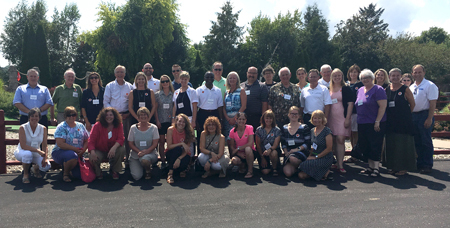 Again this year, Southern Minnesota Initiative Foundation (SMIF) Board, staff and regional partners set out on a regional bus tour. We serve a large area – 20 counties of south central and southeastern Minnesota, which houses 30 percent of Greater Minnesota’s population – and this bus trip is a good opportunity for all of our stakeholders to get a better sense of what’s happening in the region. It’s a great chance for our Board and staff to see firsthand the impact of our Foundation’s work. Economically, geographically and demographically, southern Minnesota is quite diverse, and comparing this year’s trip to our three easternmost counties (Goodhue, Wabasha and Winona) to last year’s western counties (Brown, Faribault, Martin and Watonwan) highlighted some of those differences. When I was in Congress, I would often refer to southeastern Minnesota as the “New England of the Midwest.” The rolling river bluffs, winding backroads and fall colors bring a range of tourists. Our bus-ride was quite a contrast from last year’s straight-lined farm fields on the prairie of our south central counties. However, just like last year, we had a chance to hear about the challenges, opportunities, changing demographics as well as causes for celebrations in the eastern part of our region. In all, SMIF has invested nearly $7.8 million in grants and loans in these three eastern counties. We were able to see some fruits of our investments along the way: ABA Water Systems in Plainview, our first loan client; a one-year recap of SE MN Together from Bill Spitzer, which was seeded by a SMIF One Big Thing grant; and barn murals along the Zumbro River and a chat with Red Wing Ignite on their new entrepreneurial efforts, both which were assisted by SMIF grants. 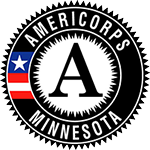 First, our Foundation’s AmeriCorps members are making change beyond their early childhood placements. We heard from Sam Brown in Winona, who started the Midwest Music Festival as part of his summer AmeriCorps project. Not only did he raise money for a tricycle course at the Winona Head Start, but the festival is now in its eighth year and draws 2,000-3,000 visitors annually. Sam also opened the Midwest Music Store to support local artists. Second, workforce continues to be a top concern. We heard from city and county administrators and business owners alike that finding skilled workers is increasingly difficult. The Foundation gave a One Big Thing grant to SE MN Together, a collaborative process to address workforce issues. But, given the scale of the workforce issue, it’s one that many regional partners must keep working on if we hope to attract new businesses to our region. Throughout the day, ideas from mentoring programs to closer collaboration with community colleges were discussed. Third, in Plainview, the point was made that while there have been losses – businesses, jobs, older residents – there have also been gains. Judith Jordan, the EDA Director for Plainview, talked about how some businesses were lost in the recession, but how others such as Kwik Trip and Family Dollar have moved into town. “As Rochester goes, so Plainview goes,” she said. This seems to be the case with many of our smaller communities surrounding the ever-growing Rochester and its Destination Medical Center. Towns recognize both the challenges and benefits of that proximity, and this dynamic is one that will continue to be explored. Fourth, tourism along the river is a major factor for many of our eastern communities. Wabasha’s National Eagle Center is a resounding success and a great example of what community members coming together can accomplish. It drew 83,000 visitors in 2015 from all over the world. We learned that the direct visitor spending of these visitors contributes more than $2.5 million to the Wabasha area. I would be remiss not to mention that – in keeping with our support of local foods – we came home a little heavier and happier thanks to donuts from Bloedow’s Bakery in Winona (an old college haunt of mine), lunch from Hanisch’s Bakery in Red Wing, and ice cream at the end of the day from LARK Toys in Kellogg. Additionally, our partners at Renewing the Countryside joined us for the ride and spoke about all the exciting local foods activity in southeastern Minnesota. Overall, everywhere we went we were greeted with a warm welcome and people happy to talk about their communities. We look forward to next year’s bus trip!